One of my first memories of flying happened in 1955 in a Canadian Pacific Douglas DC-6B flying over the Andes from Buenos Aires to Santiago Chile. I was with my mother and grandmother on our way to our new home in Mexico City. Because either the airplane was not pressurized or pressurized for high altitude we had to use oxygen masks. When we were about to arrive to Panama there was a huge storm and the airplane moved up and down and sideways. I was sick. From Panama we took a plane (it was a lovely PanAm Lockheed Constellation) and as soon as we boarded we were given Wrigley’s Chewing Gum by a young and beautiful woman that was called a stewardess. 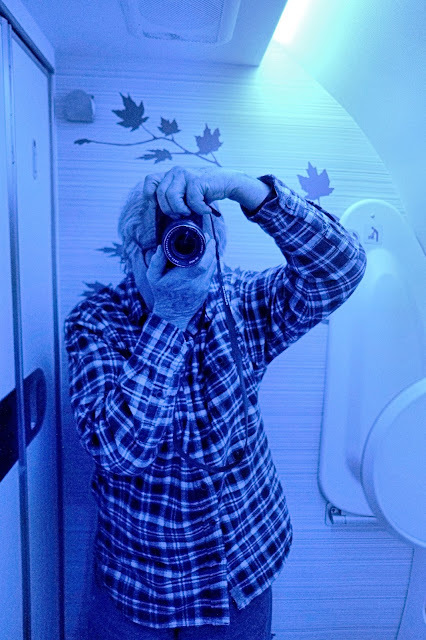 For many years I have been on just about every airplane with the exception of the Concorde. My list includes a US Air Force Hercules, a Varig Convair 990 and a Mexicana Comet 4C. On our trip to New York from Vancouver, my Rosemary made all reservations in bed with her iPhone7. With Airmiles she upgraded our Air Canada flight to Newark to business class. For years I have entered airplanes and looked with dismay at the “idiots” who sit in those special nooks in First Class and Business. Thanks to Rosemary I will now be (when possible) in the Idiot Class and I will not want to sit with the “unwashed” back in tourist! One of our flight attendants was a lovely woman of 65 who lives in Richmond. The other flight attendant was a young man from the Philippines who happened to be of Jewish extraction. That is my first contact with such a person. We had long talks about his farm in Boston Bar and the fact he collects exotic birds. The best about business class so I found out through Rosemary are the lounges. We indulged in the wonderful one at YVR and at the Maple Leaf Lounge in Newark. All the above reminds me that in the 21st century as soon as you are exposed to the latest you cannot return. As an example I would have a hard time (at my ripe age of 75) driving a car that has not rear camera. Somehow this feature almost makes up for the disappearance of the CD player.